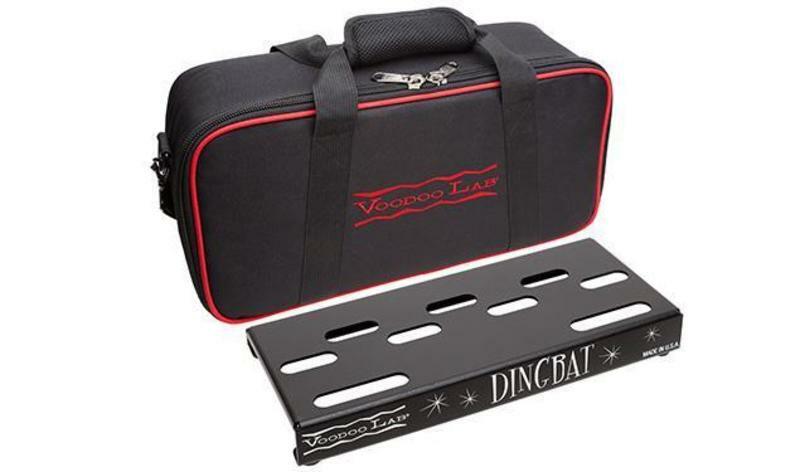 compact platform for organizing your pedals and keeping cables neatly tucked away and out of view. boards have shoulder straps so they can be carried like a backpack. The Small- and Tiny-boards on the other hand are very compact and easy to carry. All of the models have a comfortable padded carry handle. Gigbag designed for professional gigging included. Velcro and cable ties included.